This is Part 3 of Shopify’s Google AdWords series by ex-Googler Anton McCarthy. To run a successful Google AdWords campaign, you NEED to understand keyword matching. It’s one of the key factors in the set-up and management of a high-performing, cost-effective Google AdWords campaigns, especially for eCommerce stores. Using keyword matching, Google allows you to control which keywords searches may cause your ad to show. Therefore, it is crucial that you understand how keyword matching works, and how best to use it to your advantage. Let’s examine each match type, and the benefits of each one. Now lets dig deep into each type and I’ll tell you exactly how to leverage them to increase ecommerce sales. This is the simplest match type, and the one that is probably the easiest to understand. It is also the default match type for any keyword. A keyword set to broad match will display ads on a wide range of variations of that keyword. These variations include plural and singular forms, misspellings, abbreviations, acronyms, and related terms. For example, if you add the keyword ‘car’ to your ad group, your ad may display to someone searching for ‘cheap cars’, ‘white car’ or ‘second-hand car’. It may also show for someone searching for ‘new auto’. The use of broad match allows you to gather a wide set of data relating to which keywords customers are using to find you. It can be a useful match type to use at the outset of a campaign in particular, and when you may not be all that sure which keywords customers are most likely to use when searching for what it is you sell. Then, once you have collected a reasonable amount of data on the keywords which are triggering your ads to display, you can use it to refine your campaign, eliminating the keywords which aren’t bringing you value. The most obvious downside to broad match is that your ad can show for keywords which may not be all that relevant, meaning you may attract clicks from users who are not actively seeking your product or service. In other words, not every search comes with the intention to purchase. For example, is someone who searches for ‘new camera’ already in purchase mode, or just looking for information and reviews? You can address this issue by ensuring you have a good combination of other match types in your campaign, as well as using negative keywords, which we will come to later. I recommend using broad match sparingly, and monitoring the statistics which relate to broad match keywords carefully and frequently. You can also use the ‘search terms report’ to identify irrelevant searches which resulted in a click on your ad, and then add these terms as negative match keywords. Broad match modifier allows your ads to show for more closely related variations of your keywords. It is a useful option for when you want to be found for a broad range of terms, but want to restrict this range to closely related terms which contain your keyword. So, the keyword term ‘+green car’ will allow your ads to show for ‘budget green car’, but not for ‘blue car’. 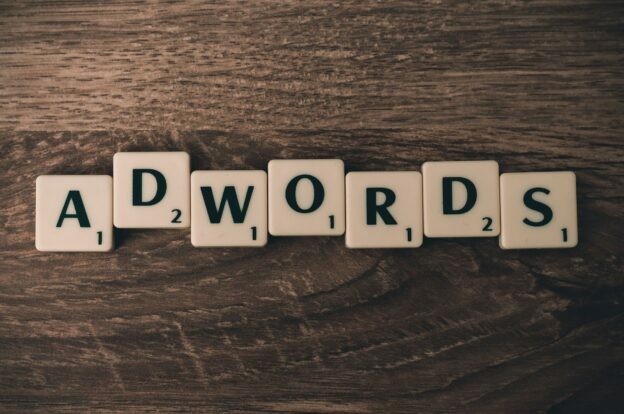 Depending on the keywords you have entered into your ad group, your ads may still display for terms that are not as tightly targeted to what you are selling. This means that you should ensure you have used as many appropriate negative keywords as possible, and that you monitor your campaign closely for the results and conversions you are achieving from your broad match modifier keywords. To use broad match modifier, simply add the plus sign (+) beside the keyword you would like to trigger your ad; e.g. +green car. You can think of phrase match as a significantly more restrictive version of broad match. With phrase match, your ads will display for keyword searches which match your keywords exactly or with words before and after it. An example is the phrase match keyword “green car”. For your ad to display on a search relating to ‘green car’, the search has to include those two words, in that specific order. This means that someone searching for ‘new green car’ is eligible to see your ad, but someone searching for ‘green budget car’, is not. Phrase match offers some key advantages. It enables you to closely control the searches which will trigger your ad. In addition, you may likely pay less for your clicks using phrase match, since your keywords are more likely to be highly relevant to your ad text and to the products you sell on your landing page. With AdWords, greater relevance helps lead to lower overall cost in terms of the average cost-per-click (avg. CPC) you are likely to pay. With phrase match, since you only show for very closely related terms, you may end up missing some keyword variants that may be relevant or useful to your campaign. However, you can help prevent this by coming up with a well-thought out list of relevant campaign keywords. Exact match is simple to understand and means that your ads will show only for the exact term you specify, and no variants. For example, the exact match keyword [green car] will only trigger ads on that specific term. It will not show for searches on ‘budget green car’, or even ‘green cars’. It is a good option to use when your AdWords budget is limited, and when you want to maximise the relevancy factor in your campaign, i.e. if you want your ads to show only to those searching for the precise product or service you provide. Exact match can work particularly well when advertising specific product models or niche terms, e.g. ‘Camera model X3000’. A key benefit of using exact match is that you can run a very economical campaign, targeting only those who are seeking the specific product you are offering. Your average cost per click may be lower than with other match types, simply due to the fact that your keywords are likely to be very highly targeted to your ads and to your website landing pages, giving you a high click-through rate (CTR), and high overall ad quality. The one main disadvantage of exact match is that it may be too restrictive – unless you have carried out extensive research on the terms potential customers are using to find the products you sell, you may be missing out on potentially valuable search traffic, and the range of data you will receive on the keywords customers might use to find you will be far more limited than with the other match types. However, exact match is a great way to keep your costs down and your campaign performing well, especially when combined with the use of the other match types. Negative match is a match type that is often mistakenly overlooked or neglected by advertisers, and is certainly one that you should take care to use in your campaign. If you add a keyword as a negative match, your ad will not show for searches on that keyword. For example, if you sell a software product, but do not wish to attract irrelevant clicks from those searching for free software products, you can simply add ‘free’ as a negative keyword to your ad groups and campaigns. Negative match is a great way to filter out irrelevant clicks in your campaign, helping you to save money and keep your campaign performing at an optimal level, through ensuring that the keywords which trigger your ad are highly targeted and relevant to the products you sell. To use negative match, simply add the minus sign (-) to any keyword for which you do not want your ad to show. I hope that this overview of Google AdWords keyword matching has proved valuable and insightful! The ideal approach to using match types is to use a variety of them within your campaigns, and as ever, monitor the results closely to identify the top performing keywords. In practice, for best results, each ad group should contain a variety of match types. And as always – remember to test, track and tweak as you go! This was a guest post on Shopify by ex-Googler Anton McCarthy. Currently, Anton is an online marketing specialist and entrepreneur who loves all things digital. You can find him blogging at antonmccarthy.com and Tweak Your Biz. Also follow Anton on Twitter. This entry was posted in Tips and Tricks and tagged eCommerce, Google AdWords, Increasing Sales on February 15, 2013 by admin.